Want more from your holiday than another tame and predictable luxury resort? Do you really want to get under the skin of the place you visit? 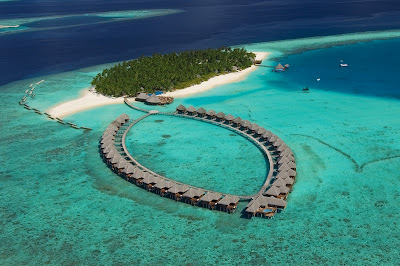 Vilu Reef Beach & Spa Resort is sprawled across the entire expanse of Meedhuffushi Island in the South Nilandhe Atoll. The island boasts a beautiful lagoon one side and a reef the other - perfect for snorkelling and for diving. Reached by a 35-minute seaplane transfer from Malé, the luxury resort is surrounded by lush vegetation, swaying coconut palms and pristine white sandy beaches. It offers five star facilities including an infinity pool, gym, Sun Spa, table tennis, volleyball court, a selection of restaurants and bars and a children’s playground. Launching this month - and unique to the Maldives - I'm delighted to see that guests at Vilu Reef Beach & Spa Resort can put some money back into the pockets of the people that need it most, by participating in a brand new community involvement project - donating supplies and materials directly to local schools. 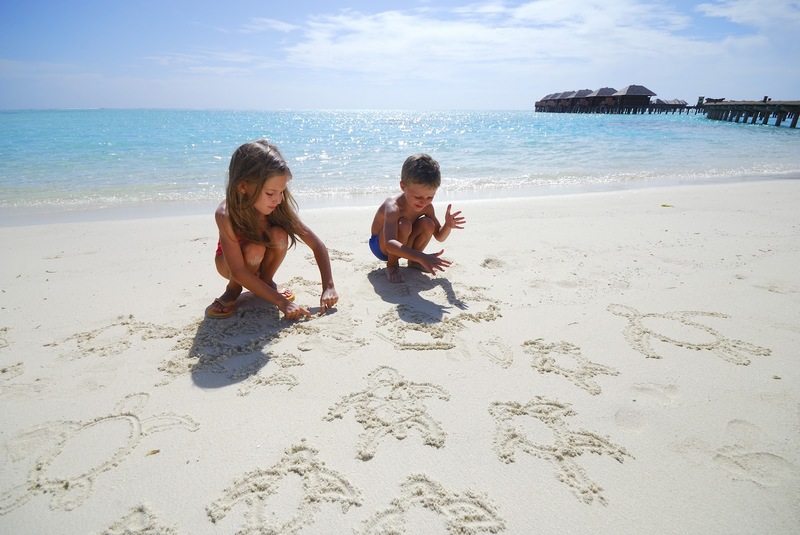 Vilu Reef is the first resort in the Maldives to work with the charity Pack For A Purpose. The organisation was founded on the principal that those fortunate to travel to other countries have the opportunity to make meaningful contributions to the communities they visit and have a significant impact on the lives of children around the world. All you have to do is save some luggage space for educational supplies (5 lbs/2.27kg is recommended). You pack what they need and simply drop them off at resort check-in on your arrival. Unlike many hotels in the Maldives, Vilu Reef is located in an atoll surrounded by thriving communtities that live on the local islands. As such, guests who would like to bring more to the Maldives and make a small, easy, but meaningful donation can do so for the Dhaalu Atoll School on Meedhoo island and the Bandidhoo School on Bandidhoo island for children aged six to 16 years. What’s more, for those of you who would like the opportunity to personally meet the school children and teachers, you can even deliver your donated items in person. Vilu Reef offers a choice of half-day or full-day 'local island tours'. These excursions visit Meedhoo and Bandidhoo island to explore the local fishing villages and to experience Maldivian culture and traditional ways of life. Guests visit the mosque, school, meet the local people and can enjoy some shopping. Prices start from US$ 45.00 per person (excluding local tax charges). visit www.vilureefmaldives.com and click on the community projects link. Tropical Sky is offering six nights at Vilu Reef Beach & Spa Resort from €1,579 ($2090) per person. Valid for selected departures in September 2012, the price includes scheduled flights (via Abu Dhabi) with Etihad, accommodation in resort on a half-board basis, seaplane transfers, taxes and surcharges.